The Prowse family lived in Yeovil certainly in the very early seventeenth century since a priceless treasure in St John's church is an early edition of the King James Bible, bound in leather with metal clasps and embossed on the cover with the letters E P and an inscription on the title page reading "This Bible was given to the Church of Yevell by Elizabeth Prowse, widow, of the same parish and delivered by John Ostler, her executor." Elizabeth née Paulet was the widow of George Prowse who died in 1624. This is the earliest known evidence of the Prowse family in Yeovil and an elaborate brass on the chancel floor of St John's Church commemorates several members of the family and also bears its coat of arms - three lions guardant. A lease exists, dated 1647, concerning George and Elizabeth's son Robert Prowse of Kingston juxta Yeovil, Gentleman, and a house and garden in Hendford. Robert married Bridget Harbin, a daughter of Robert Harbin of Newton Surmaville. She was described in a deed of 1640 as "Late of Newton and now of Kingston". Robert Prowse was closely connected to Woborn's Almshouse and held the positions of Custos and Warden of the almshouse on several occasions. Robert's son, George, also held the positions of Custos and Warden of the almshouse on several occasions. He was also an Overseer of the Poor. His signature is shown in the Gallery below on the accounts of Woborn Almshouse for the year 1738 during his tenure as Warden. Leases exist, dated 1708 and 1712 concerning Robert's grandson John Prowse, a solicitor of Kingston, Gentleman. The Manor of Kingston, together with the advowson of Kingston Pitney Chapel, was purchased from Lord Stourton in 1710 by John Prowse. The advowson was the right to present to the living of All Saints, a small disused chapel that stood on the site of the later Yeovil District Hospital's boiler house. 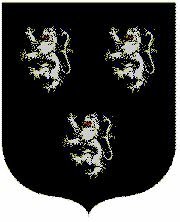 The advowson was held by the 12th century de Say family, then in turn by the Ardens, the Wigtons, the Chydioks and then by marriage to Lord Stourton. Between 1714 and 1718 John is referred to as 'Landlord of the Manor of Kingston' and between 1718 and 1720 as 'Lord of the Manor of Kingston'. John Prowse acted as Custos or Warden of Woborn's Almshouse on six occasions. From 1724 to at least 1767 John's eldest son (of his nine children), George Prowse, Gentleman, is named in documents as Lord of the Manor of Kingston juxta Yeovil. This George (the fourth) married Elizabeth Bragge (d 1800) of Hadfield Peverel, Essex, daughter of William Bragge (1708-1778) and Elizabeth née Hunt (1711-1741). George and Elizabeth's only son, George Bragge Prowse was born in Yeovil in 1767. George went to University College, Oxford, matriculating on 7 November 1783 at the age of 17 and was created an MA on 17 December 1787. George was probably the builder of Kingston Manor House, originally known as the Mansion House (not to be confused with today's Mansion House in Princes Street), an early Georgian house of two storeys and six bays with a Tuscan porch. A lease exists, dated 1801, in which George Bragge Prowse of Yeovil, Esq. leased to John Daniell of Yeovil, Esq. the “Capital Mansion House in Yeovil for 6 years with coach house, stables, offices, courtyard, gardens, orchard and paddock containing 6 acres with household goods, furniture and implements of household in and about the Mansion House as listed in a certain inventory also Home Close and Quarry Close 10 acres, lying opposite the Mansion House on the north side of the highway from Yeovil to Sherborne in occupation of John Daniell. Rent - £74 per annum”. 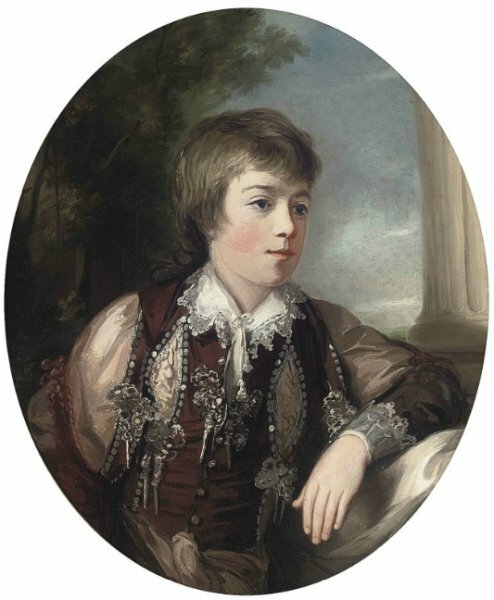 This was John Daniell the younger who had already inherited Hendford House (today's Manor Hotel) on the death of his father, John Daniell the elder, in 1776. In 1803 George was Custos of Woborn's Almshouse and he was also a trustee of the Charity School. By virtue of his social rank as Lord of the Manor of Kingston, he became a Lieutenant Colonel of the First Regiment of Somerset Militia. As well as the Manor of Kingston, George had substantial land holdings in Yeovil including a quarry in Oxenfurlong, Key Farm (off Dorchester Road, near the Red House), Longcroft Farm, Larkhill Farm and the Pen Mill Inn. In 1821 George inherited the large Edgeworth Manor estate in Gloucestershire from his cousin William Hunt Prinn, at which time George assumed the name Prinn. After George's death this estate passed to a relation Jane Eliza, the widow of Sir William Russell, who changed her name to Prinn in 1841. On 20 October 1825 the following notice was published at Whitehall "The King has been pleased to give and grant unto George Bragge Prowse, of Yeovil, in the County of Somerset, Esq, His Majesty's royal license and authority, that he may, in compliance with a direction contained in the last will and testament of his cousin, William Hunt Prinn, of Charlton Park in the County of Gloucester, Esq. Deceased, henceforth assume and take the surname of Prinn, instead of that of Prowse, and also bear the arms of the said testator, quarterly with his own family arms; such arms being not duly exemplified according to the laws of arms, and recorded in the Herald's Office, otherwise the said licence and permission to be void and of none effect. And also to command, that the said Royal concession and declaration be recorded in his Majesty's College of Arms." George Bragge Prinn died on 12 January 1839. His obituary was published in the Gentleman's Magazine "12 January: At the Somerset Hotel, Strand, aged 71, George Bragg Prowse Prinn Esq of Charlton Park, Cheltenham, and Yeovil, Somerset. He was descended from a very ancient family in the County of Somerset, where he had a good estate, as also at Hatfield Peverell, in Essex, and at Charlton Park, in Gloucestershire." 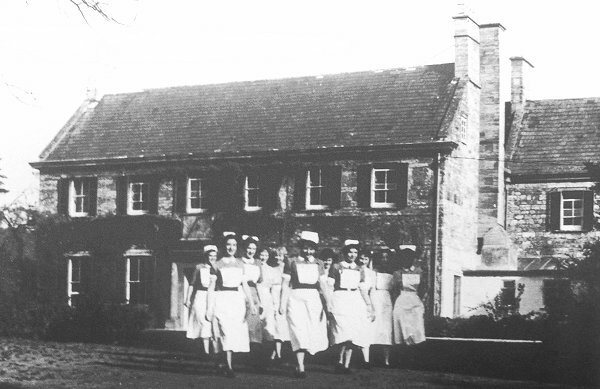 George's son, Captain William Jones Prowse RN, was the last of the family to live in Kingston Manor House. He let the house to Ann Batten, daughter of John Prigge Batten, before selling it to Yeovil glove manufacturer Thomas Dampier. The Yeovil Tithe Apportionment of 1846 show that George Bragge Prowse had extensive land holdings in Yeovil, left to his son Captain William Jones Prowse in his will, as tabulated below. His total acreage held in Yeovil was 262a 0r 32p. 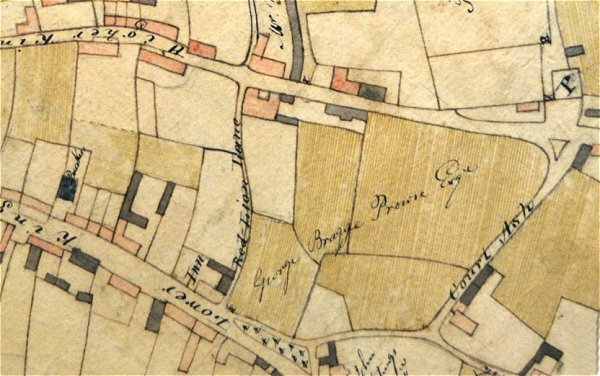 A section of E Watts' map of 1806 showing George Bragge Prowse's lands in the centre of Yeovil between Higher Kingston at top, Lower Kingston (today's Kingston) at bottom, Red Lion Lane at left and Court Ash at right - essentially that area later to become Bide's Gardens - at this time subdivided into several smaller parcels. Prowse's new 'Capital Mansion House', later to become known as Kingston Manor House, is seen in pink at the top of the map next to Red Lion Lane, together with its outbuildings, stables, etc. shaded grey. At this time, according to the lease quoted above, the house was leased to John Daniell of Yeovil, Esq. This is the last Will and Testament of me George Bragge Prowse of Yeovil in the County of Somerset Esq I do give devise and bequeath unto William Jones Prowse Esq a Lieutenant in the Royal Navy now serving on board His Majesty's Ship the Conqueror all my freehold and copyhold estate in the counties of Somerset and Essex or elsewhere and also all and singular my property in the funds as well of the Bank of England as of the India Company and all my money securities for money plate linen china wine goods chattels personal estate & effects whatsoever & wheresoever to hold unto the said William Jones Prowse his heirs executors Admons and assigns absolutely for ever and I appoint the said William Jones Prowse sole Executor of this my will in Witness whereof I have here unto set my hand and seal this fourteenth day of August 1820 - GB Prowse - (seal) Signed sealed published and declared by the said George Bragge Prowse as and for his last will and testament in ye presence of us who at his request in his presence & in the presence of each other have subscribed our names as witnesses Thos Ireland Staple Inn - R Henry Sawyer Staple Inn - Wm Austin of the same place. 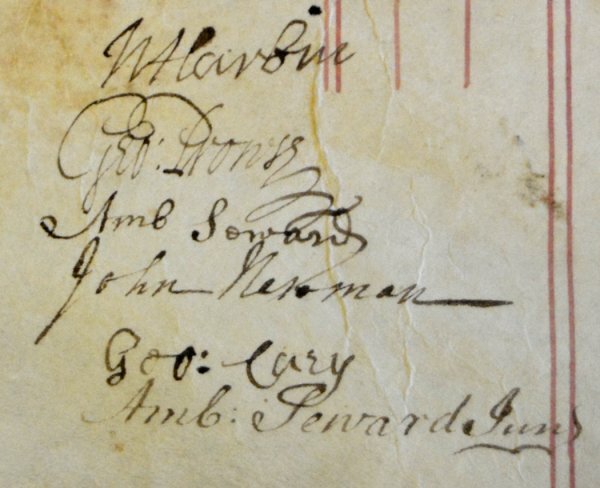 George Prowse's signature on the accounts of Woborn's Almshouse in the year 1738 when he was Warden. This document is in the County Records Office at Taunton. 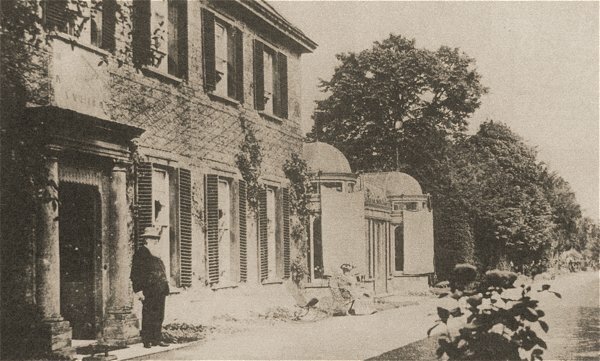 Thomas William 'Willie' Dampier-Bide and Elizabeth Bide 'Bessie' Dampier photographed in 1907 outside their home, Kingston Manor House - believed to have been built by George Bragge Prowse. 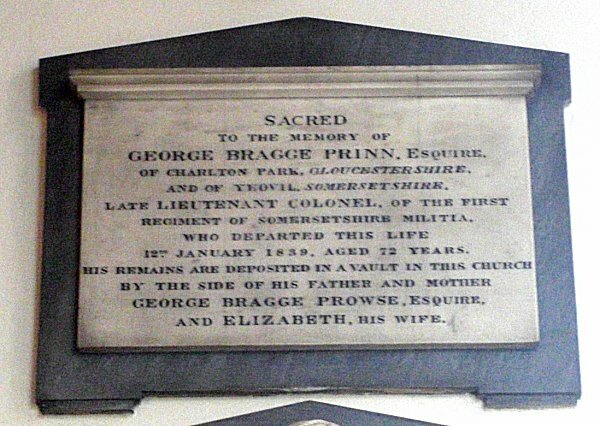 The memorial in St John's church to George Bragge Prowse, who later changed his name to George Bragge Prinn. The monument carver got a bit mixed up and called his father George Bragge Prowse (instead of just George Prowse) whereas actually his mother Elizabeth's maiden name was Bragge.